There were some terrific individual and team results despite the wintry conditions. The day started with a couple of inches of snow underfoot and for the earlier races, it snowed continuously until about lunchtime. 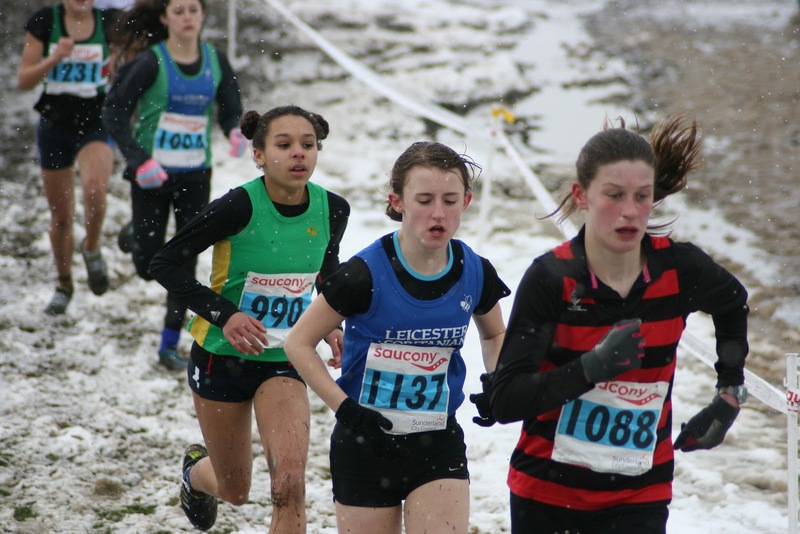 The snow underfoot quickly gave way to heavy, sludgy mud to make conditions difficult to run in, not too dissimilar to the snow at the Midland Championships at Stafford Common several weeks ago. Despite the conditions, the athletes gave a great account of themselves and is was one of the most successful championships that the club has had in recent years. Ben Dijkstra had an outstanding race in the U15 boys race. Following on from his recent Midlands title, his silver medal was a tremendous achievement because he still has another year in this age group. He was 12 seconds behind the eventual winner, Daniel Evans from Warrington. He led the team to a bronze medal with Alfie Thompson (12) Cameron Smith (46) and Luke Beeby (61) the other scoring runners. 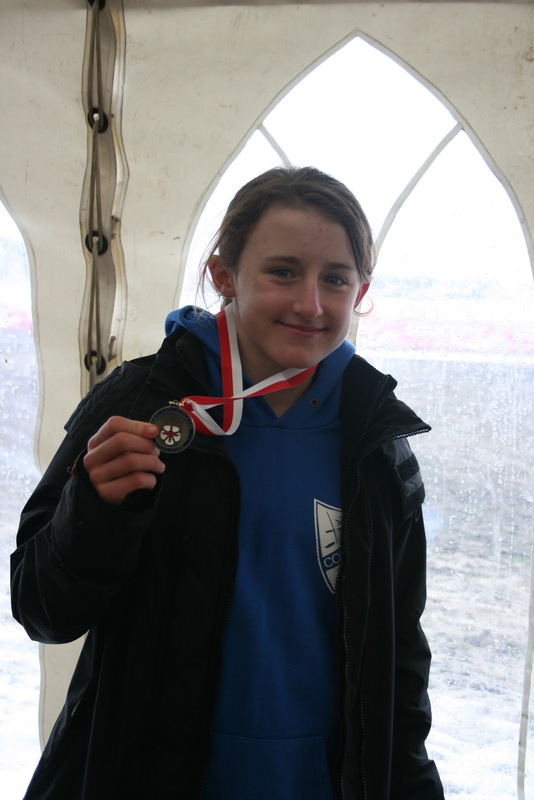 In the U13 girls race, Jordan Waine made use of her fast finish to overtake Saskia Millard (Herne Hill Harriers) to claim the bronze medal in her first ever National event. The fast finishing Jordan had her sights on the silver and only just missed out on that medal by three seconds. Jordan's great start put her in the front pack from the start of the race and she must take great confidence going on to the Inter Countries at Birmingham in a couple of weeks time. 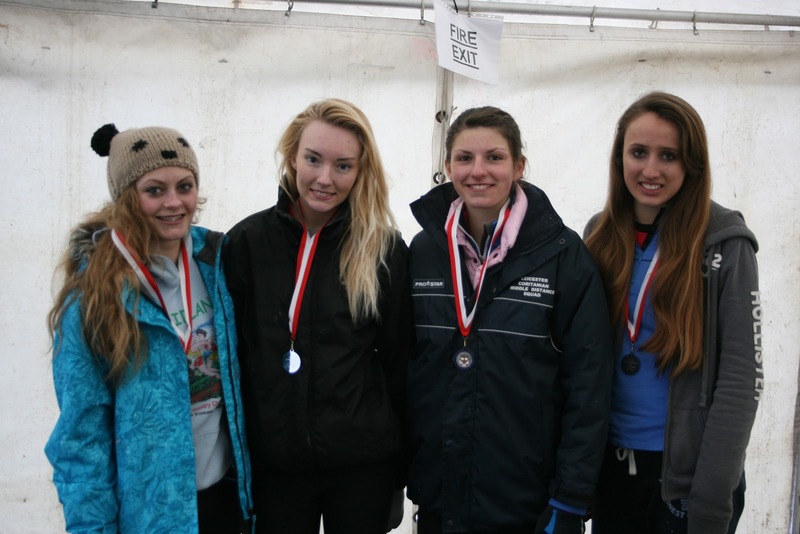 The first race of the day was the U17 women's race. Facing heavy snowfall throughout their race, Mari Smith led the way to the team taking a fabulous silver medal and the team was only 12 points behind Aldershot, Farnham & District, who finished with 71 points. Like Ben, Mari is a bottom aged athlete and her 4th place was a fantastically strong run which led her to tracking down the leaders and finishing just 10 seconds away from an individual medal. Mari was backed up by Amy Griffiths (5), Caelidh Ross (32) and Ella Shirley (42). The fact that the club won a team medal in every race that was able to field a complete team is an incredible achievement and one that is a credit to the athletes and coaching staff alike.